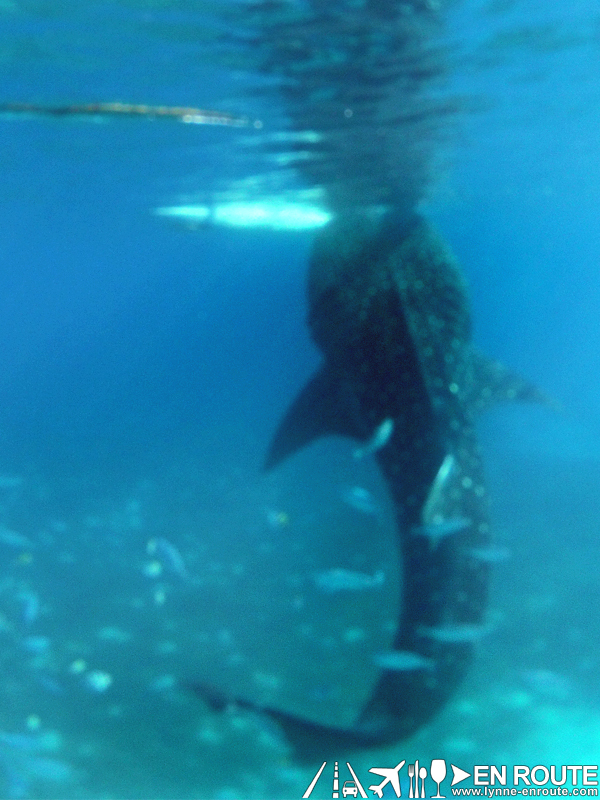 Whale shark feeding on krill in Oslob, Cebu, Philippines. Photo from GoPro Hero 2 Camera. 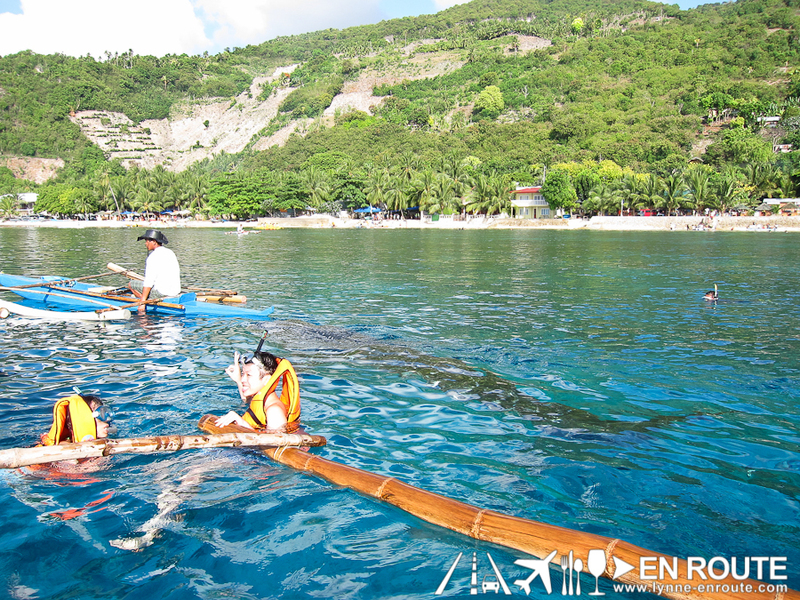 One of the activities you can do if you are having a nice relaxing stay in Bluewater Sumilon Island would be to go on an early morning boat trip to the nearby town of Oslob, Cebu, and watch the baby whale sharks as they come so close you can almost touch them. 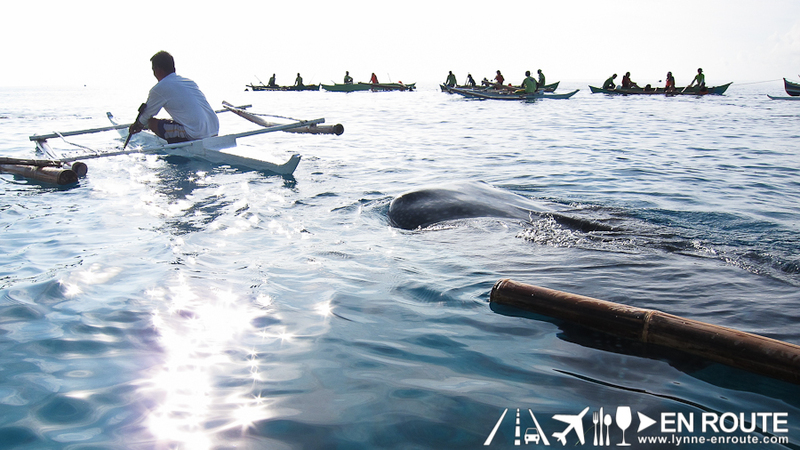 In the Philippines, Donsol in the Bicol region has been known to be the place to watch migratory whale sharks. 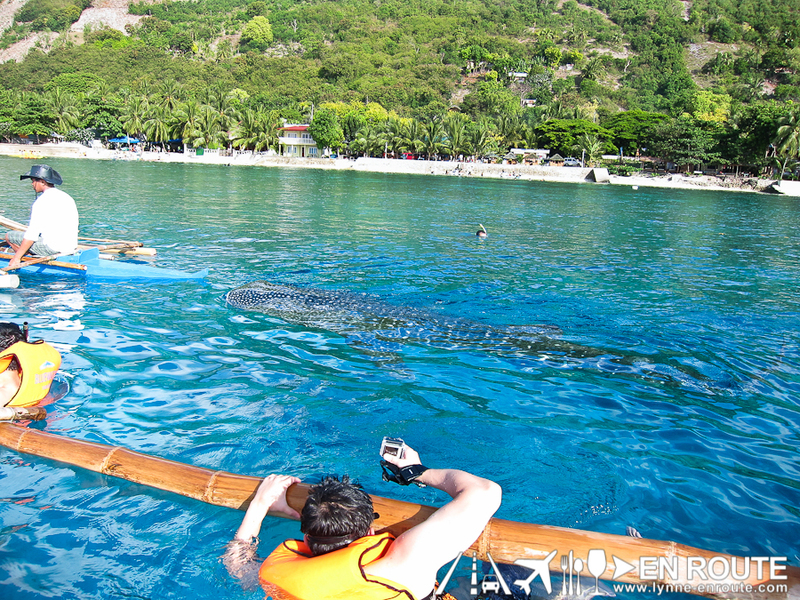 Whale sharks in Donsol are called “Butanding”. 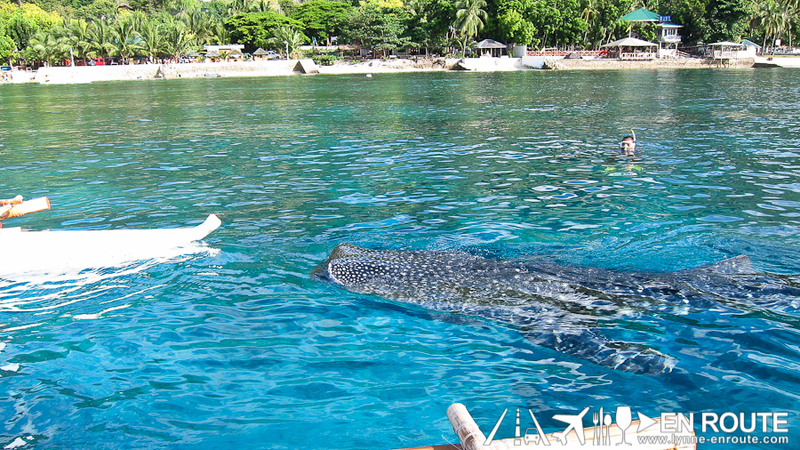 In Oslob, whale sharks are called “Tuki”. 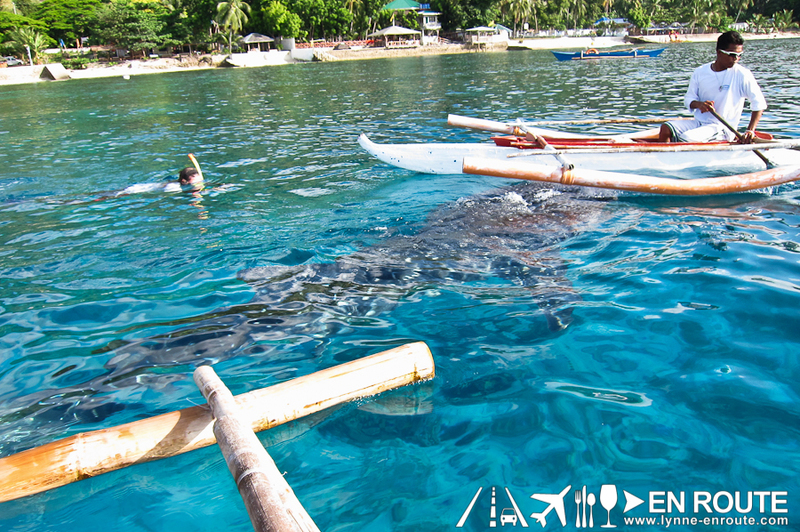 The tuki feed off krill and plankton that are abundant in the area all year round, and therefore these baby whale sharks can be seen in Oslob all year round, too. 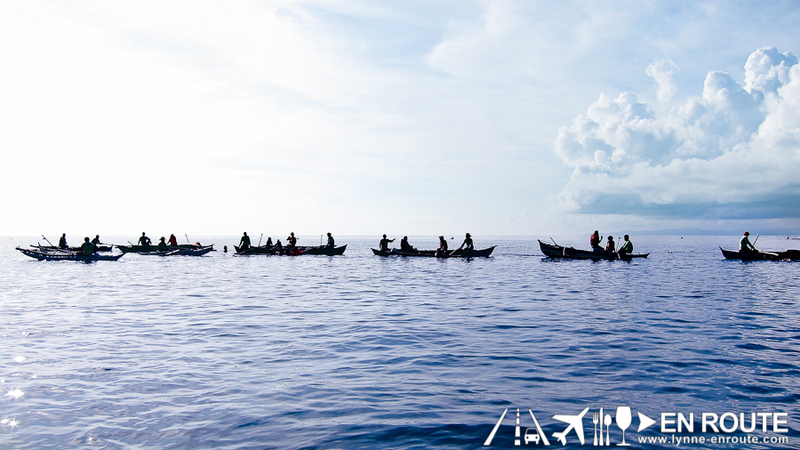 It was fortunate that one of the employees of Sumilon Island actually hails from Oslob and therefore gave a first hand account on the history of whale sharks in their area. 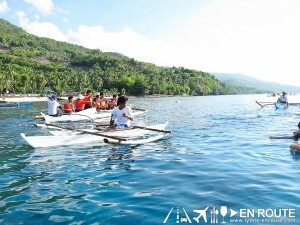 The town of Oslob has always been a community of fisherfolk who make a living off the sea. It was a very quiet town, and not much progress is going their way. It actually feels like Guiuan in Eastern Samar all over again. 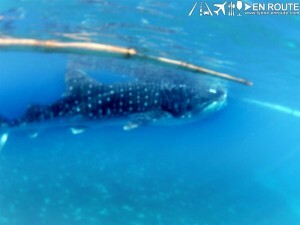 Ever since they can remember, they have lived with the baby whale sharks that have always been present in their area. As a matter of fact, these baby whale sharks were perceived to be nuisances to their livelihood: every time baby whale sharks come near, it would scare away the fishes they would catch. So before these were discovered to be lucrative tourist drawers, whale sharks were disliked and even swatted away with paddles. Some have even slain these baby whale sharks to be used as food since these were the only ones remaining to be caught after it has scared away all the fishes. This has gone on for decades. Some time around 2008-2010, the story was that a Korean diver wanted to see more whale sharks, and decided to pay a boatman three times his normal earnings just to cruise him near these baby sharks. This went on for months and the boatman found that it was more profitable to bring viewers into the sharks than to catch fish. Soon, the neighbors started noticing his family living a better life; finally enrolling children to school instead of helping in the fishing, a more sturdy shelter, and the ultimate luxury in Oslob: a 32 inch flat screen TV. Then one drinking session, the boatman accidentally disclosed how he earned all that money, and soon after the neighbors began giving tours themselves. This caused the local government to make it more organized and provide a more structured rate where the fisherfolk will be the largest beneficiary. – Do not touch or approach the whale sharks. Maintain an estimated 5ft distance around it. – Do not use sunblock so as not to contaminate the water. It is clearly stated in a sign that 50% of the fees actually go to the boatman’s family for their livelihood (and to buy the krill to feed the sharks). 20% goes to the barangay, 10% goes to the municipal government, and 10% goes to the provincial government for licensing and certification to allow for whale shark watching. 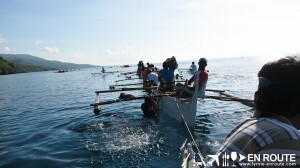 These pictures were taken May of 2012 during the height of the frenzy for whale shark watching. There were marine biologists everywhere observing the behavior of the whale sharks and how they react to people. From personal experience, as long as you keep a distance, the sharks will not be startled. They are inherently curious, however, and will sometimes swim towards humans. If they do, best to keep calm and swim aside. There were incidents where the whale sharks would swim underneath people and float them unto their backs. There are contrasting views from experts about this. As of this writing, there have been a lot of talks between the government, the local community, and private experts from around the world on how to ensure a sustainable program that will have livelihood benefits for the town of Oslob and raise awareness of the fragile ecosystem. It has, however, diminished the whale shark viewings. Wonder what has happened to the boatman with the flat screen TV? All in all, this is still a surreal experience when visiting Cebu. And as a traveler, there is a responsibility to take nothing away from where you have been, except great memories. If you are staying in Sumilon Island, these can be arranged in the front desk. Otherwise, you can head to this place at your own convenience. Best to go early from 6am to 8am while the sun is still rising. 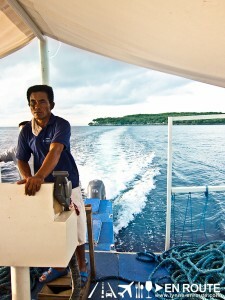 You can visit http://www.oslobwhalesharks.com/ or the Oslob Whale Sharks Facebook Page. This has actually been quite a controversy until now, so your thoughts on the matter will be highly appreciated. Place in your comments below. Go go go! It is unbelievable! They were the baby ones but there was still a maximum distance guideline around them. A waterproof camera can do wonders! Wow! I’ve been reading a lot just to find perfect information such as this. But worth it. Thank you for writing.